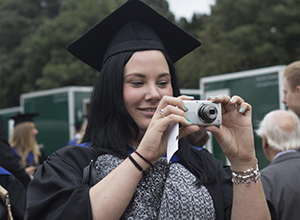 A unique characteristic of the BA (Hons) Marketing and Event Management degree at Chichester is the emphasis on an applied and practical approach to teaching via direct engagement with the people relating working in industry. I knew selecting Chichester was right for me as soon as I attended an open day. The lecturers have all worked in industry and provided us with first-hand knowledge. You also get to know them very well, I wasn’t just a number. Running my own event in the third year gave me valuable hands on experience. My course also gave me a huge number of transferable skills that I have now been able to use in a marketing and events environment. Over the course of your degree, you’ll encounter practice-based marketing and event topics in a range of learning environments – focusing primarily on activity-based workshops, online study and work-based learning. You will undertake your academic work in small group workshops housed in one of three Georgian mansions with state of the art features including touch screen electronic white boards and high speed WiFi. All of our current students love the learning environment, the culture, camaraderie and the fact that tutors know them by name so they are more than just a 'face in the crowd'. Event Management students have the opportunity to deliver events at stunning venues across West Sussex including the Sussex Cricket Club, Hollybank House in Emsworth, Duncton Hall and Hotham Park where every year our students deliver our signature event, Rox in the Park. The Dome, which houses stunning conference facilities, is the venue for the Green Oscars Awards Ceremony, which our second year students organise as part of the Green Action Scheme. Other facilities on this dedicated university campus include the latest books, journals and online data in a truly modern library, and IT centre, a student zone complete with Costa Coffee, a gym and much more. If that's not quite enough for your needs we are just across the road from the beach and the beautiful Hotham Park - brilliant for creativity and inspiration. Students wanting to specialise in Event Management go on to work in the corporate, international hospitality, tourism, sport and charity sectors. Many have found jobs in the fields of social media, marketing, sponsorship, event management, fundraising, public relations, tourism management and venue management. Several of our students entre their industries at the junior management level. 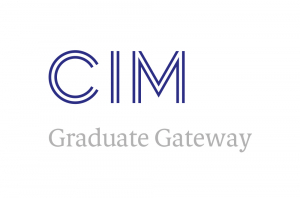 We have accreditation for the CIM Graduate Gateway against our BA (Hons) Marketing degree. Students will be exempt on an APL basis from L4 Marketing and L6 Strategic Marketing. In this module, you will design a corporate event for a client, which you will bid for and deliver in year two. You will be introduced to the principles of event planning, design and creation, providing a detailed understanding and appreciation of the range of event environments that can be designed, the inherent management challenges that event managers will face in delivering a successful event, and the basic design tools that an event manager should have to deliver them.